The Dashboard application has multiple functions. 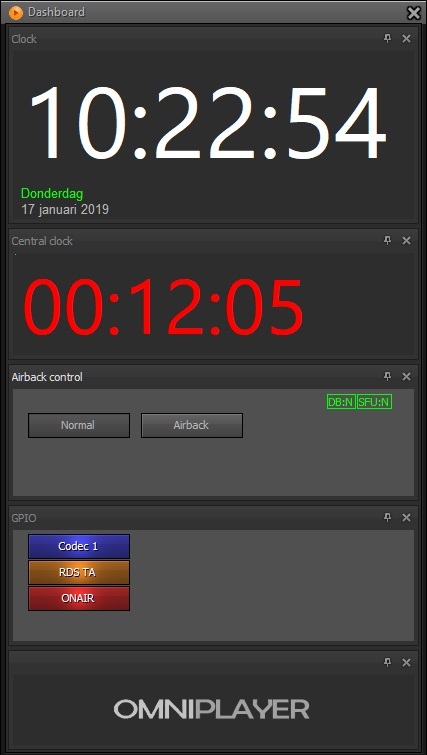 It can display the actual time, countdown time to the next commercial break, gives an overview of the Airback backup station or can display signals from external inputs (e.g. mic is open, RDS TA is active, etc…). 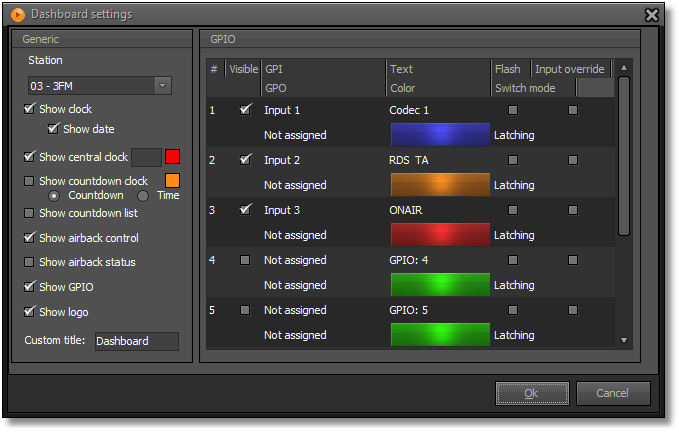 It’s even possible to configure buttons to start external devices or activate inputs on other applications. The application is fully customizable for different needs.